The 19th Annual VW Spectacular! Looks like it is going to be one of the biggest shows so far so come along and join us and make it the biggest and the best spectacular we have had since 1984. 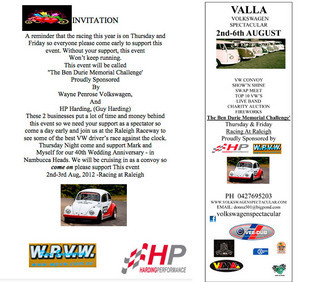 We will be involved supporting the event and assisting in raising much needed funds for charity.